NEW FOR 2019 This year at the South Coast Triathlon we are running a Sprint race for men and women that will include a draft legal cycle. 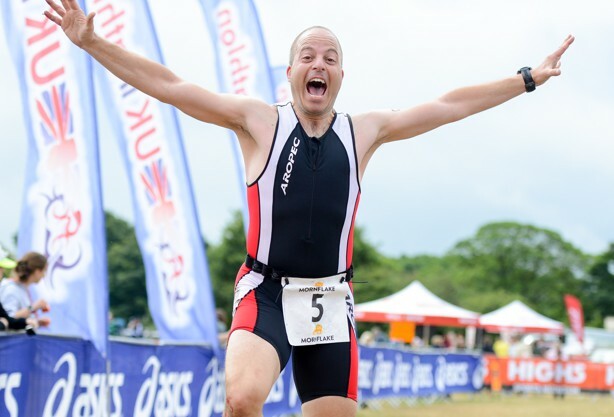 There is the usual Fun, Super Sprint, Sprint, Olympic and Relay events that you can enter that won't be draft legal, but if you fancy experiencing a triathlon like the professionals, then take on this draft legal challenge. Both the men's and women's specific start means you'll have clear roads to form a pack on the bike section or to try and break away. Just choose the draft legal Sprint option on entry. Don't want to go it alone? Take part as a relay team of 2 or 3 and share the challenge of swim, bike and run! The race offers not only a spectacular seaside venue, but is also a perfect spectator friendly course, ideal for family and friends who come along to support you and watch the non stop action in a fun and relaxed atmosphere. The venue guarantees large crowds to cheer you along whilst you swim, cycle and run. A great weekend or day out for all! Chip Timed & PRINTED RESULTS as you cross the line! You can use this information as a guide for your 2019 event. Full and up to date 2019 competitor race day information with your race number and start time will be emailed to you 7-10 days before the event. I competed in my first triathlon this year at Seaford. I was on the organisation of the South Coast Triathlon. Particularly impressed with the compere at the finish line who managed to announce names of competitors as they came through the finish and also where they came from, such a personal touch. I really don't know how he did it, with 3 races going on and also a relay.